Clothing/Jewelry Description A black shirt, tan slacks with a black patch on the back, a Rite Aid apron, new pink and white size 8 sneakers, tan stockings, earrings, two necklaces with three diamonds on each, a watch with a black strap, and a wedding band on her left hand. Carrying a black purse. Medical Conditions Ackernecht was prescribed medication for depression, but she stopped taking it before she disappeared. Distinguishing Characteristics Caucasian female. Brown hair, brown eyes. Ackernecht may wear eyeglasses with tan frames. She has red highlights in her hair, pierced ears and a patch on her right cheek. Some accounts spell her name "Kellysue." Her maiden name is Kilcullen. 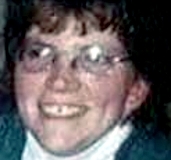 Ackernecht was last seen leaving her job at the Rite Aid pharmacy in Amsterdam, New York at 9:30 p.m. on September 30, 2008. She worked as a shift supervisor. At 1:53 a.m. the next day, her dark green 1998 Saturn Aura sedan with New York license plates was found in Frog Hollow, just off west Montgomery Street in Johnstown, New York. This was just three blocks from her home, but it wasn't on a route she normally traveled. The car had been set on fire and was still burning when it was found, and it was completely destroyed. Neighbors had called the police about shots fired in the area at midnight. 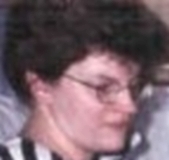 There was no sign of Ackernecht at the scene and she has never been heard from again. 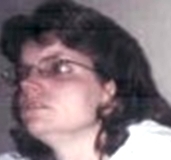 Ackernecht lived with her daughter, her husband and his parents when she disappeared. Her marriage was troubled when she disappeared, but her loved ones stated she would never have left without making arrangements for the care of her daughter. Her parents are dead, but she had a close relationship with her siblings. Ackernecht's husband isn't considered a suspect in her case. Her disappearance remains unsolved. Johnstown police are investigating Ackernecht's disappearance. Updated 5 times since October 12, 2004. Last updated March 28, 2016; picture added.